The Rusty Nail cocktail is an old classic that dates back to the 1930s. It blends smoky scotch with sweet Drambuie for a flavor that’s surprisingly sweet and easygoing. Even if you don’t like scotch or Drambuie much, the combination of the two may actually work for you. 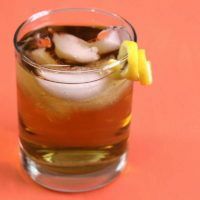 The Drambuie’s honey and sweet notes will disguise a lot of flaws in your scotch, and the ice will water it down a little, so there’s no need to waste an expensive single malt in this drink. Just pick something tasty and drinkable, like a Johnnie Walker. This drink makes a good nightcap – it’s a little bit on the strong side, which makes it nice for a quiet evening after a stressful day. It’s a contemplative drink that goes well with reading a book or whatever you do to unwind and relax. If you find this drink is sweeter than you like, feel free to use less Drambuie. Since you build it instead of shaking it, you can always just start with half an ounce of Drambuie and then add more to taste. 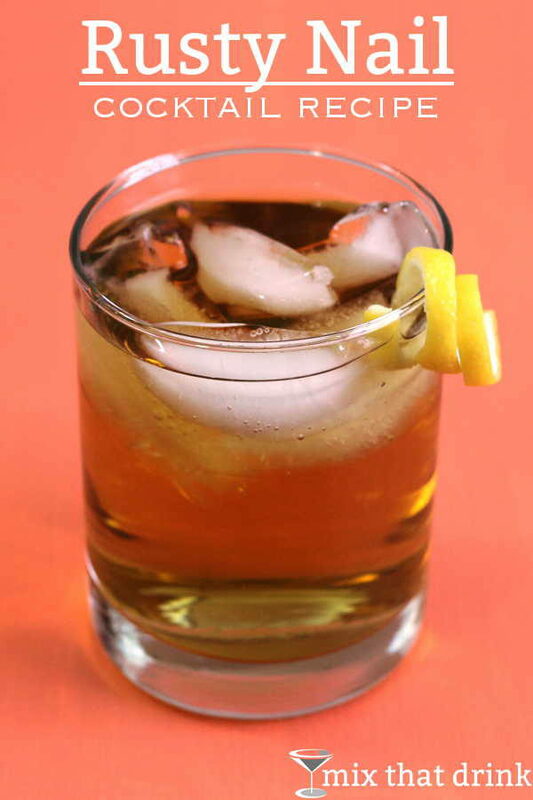 The Rusty Nail drink recipe is an old classic featuring scotch whiskey and Drambuie. It has a touch of sweetness to balance the oak and smoke notes from the whiskey. While you don't need to use your very best scotch in this cocktail, be sure to use a good bottle. You'll taste it. I add a touch of orange bitters to this one.